Makom Hadash is a hub for the Jewish innovation community in New York, and a residency center for second-stage Jewish non-profit organizations. Combining affordable space and office services with community and opportunities to learn, socialize and collaborate, it enables its member organizations to focus more on their missions, develop more sophisticated organizational infrastructure and collaborate more effectively together. Its programs offer networking, professional development, and opportunities for partnership to a range of smaller Jewish organizations and innovative programs. 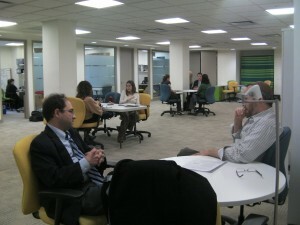 Founded in 2010, Makom Hadash offers both reserved office spaces and flexible-hours arrangements. 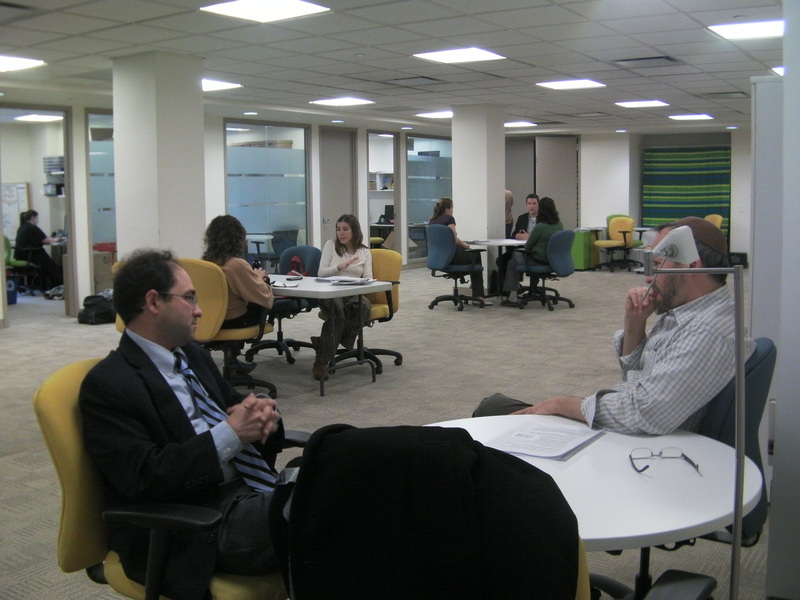 Organizations based outside of New York can join to use hot-desks, office services, and meeting spaces, and to connect with Jewish non-profit colleagues. Most of our social and educational programs are open to both members and others in the Jewish innovation sector. Makom Hadash is a program of Hazon, and is made possible through the generous support of the Lippman Kanfer Family Foundation, UJA-Federation of New York, the Schwarz Family Foundation/Jeffrey and Wendy Schwarz, The Natan Fund and other donors. What’s happening this month at Makom Hadash?